SALT LAKE CITY (Jan. 3, 2019) – January is Learn to Ski & Snowboard Month and, on January 11, more than 300 children from elementary schools around Utah will take beginner ski or snowboard lessons at various Utah ski resorts as part of the first annual Learn to Ski & Snowboard Day. Governor Gary R. Herbert has also issued a proclamation declaring January 2019 and January 11, 2019 as Learn to Ski & Snowboard Month and Day in Utah. The January 11 celebration is a new addition to Learn to Ski & Snowboard Month. Brighton Resort, Deer Valley Resort, Park City Mountain, Snowbird and Solitude Mountain Resort will join ski resorts across the country in an attempt to set a new record for the most beginner lessons taught in one day. Now in it’s 11th season, ski resorts in over 30 states have given upwards of a million beginner lessons as part of the Learn to Ski & Snowboard Month national initiative. 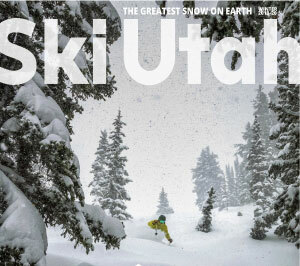 Utah ski resorts have been involved since the program’s inception in 2009 and will continue this year with special deals and discounts targeted at new skiers or riders. A full list of deals can be found at skiutah.com/lssm. Also new this year is the “insider experience,” a mini site that offers shortcuts to information for adults and children who are just getting involved in snow sports. Consumers who register on the mini site can also receive additional information throughout the snow season on various current learning and discount programs. Skiers and riders can sign up at learntoskiandsnowboard.org/vip. For more information on Learn to Ski & Snowboard Day and Month, check out this video and visit learntoskiandsnowboard.org.